Sony Claims NGP Will Be "Affordable"
How much to charge for the NGP has been a concern since the project began, says Sony. 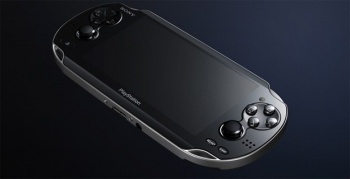 While it isn't tripping over itself to talk numbers, Sony is keen to reassure people that the NGP - the newly announced, and long rumored, follow up to the PSP - won't cost an arm and a leg. Sony Europe boss Andrew House said that he couldn't talk in exact figures - not even ballpark figures - but said that the NGP would be "affordable", and would have a price point in line with the rest of the mobile gaming sector. Shuhei Yoshida, head of Sony Worldwide Studios, also didn't talk in exact numbers, although he joked that the NGP would definitely cost less than $600. Yoshida said that the price point for the NGP has been a concern for Sony since work began on the project began in 2008. He hoped that when Sony eventually did reveal the price, consumers would recognize the value it represented. It's rumored that Sony will sell the NGP at a loss, but House said that after its experience with loss leader hardware in the past, it was hopeful that it could sell the NGP at a profit. House's and Yoshida's comments make it sound like Sony is still trying to decide how much to charge for the NGP. With all the technology packed into the device, it's almost certainly expensive to make, so it really comes down to how much of a loss Sony is willing to take. Selling it at a competitive price compared to the 3DS and the iPhone would help Sony shift units, but also means that it will take more software sales to make any money from the platform.